Why demand for CPO and FFB high? Why palm oil dominant in vegetable oil market? Who are the consumers of FFB, CPO and its derivative products? Who are the suppliers of FFB and CPO? How strategic is palm oil to Indonesia? What are positive externalities of oil palm sector? What are negative externalities of oil palm sector? How the market response to these externalities? How the government of Indonesia response to these externalities? The future of palm oil sector? The prospects and the challenges. Most important vegetable oil in the global oils and fats industry. Found in more than 50% of packaged products in supermarket. Used in food and non food. 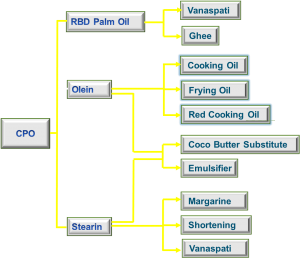 Food: cooking oil, margarine, ice cream, cookies, and chocolate. 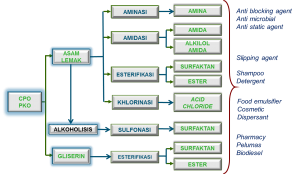 Non-food: soaps, detergents, cosmetics, pharmaceuticals, and biofuels. Brands: KitKat, Dove, Persil, Flora, etc. 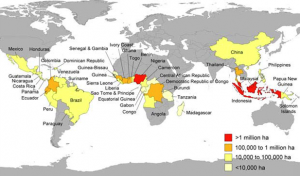 What is the future for oil palm smallholder in modern market system? Does modern market system distribute equal and proportional welfare along the palm oil value chain? Does smallholder benefit from certification scheme? Who are actors responsible to empower oil palm smallholders? How to find better ways for the inclusion of small-scale producers in the modern markets? Arifudin, Ashaluddin Jalil, Haris Gunawan, dan Suwondo. 2014. Modul Pengelolaan Hutan dan Lahan Gambut Berkelanjutan. BP REDD+ dan Universitas Riau. p.116. Winarma, Eko Novianding Ginging, Edy Sigit Sutarta, and Petrus Purba. 2005. Teknik Pengawetan Tanah dan Air di Perkebunan Kelapa Sawit. Pusat Penelitian Kelapa Sawit (PPKS) Medan.